Facebook recently introduced new updates for Business Pages. One of the main updates is the further development of the feature Recommendations that is an evolved version of the Facebook reviews system. We are all aware that reviews and recommendations are extremely important for any company reputation. What is very interesting is that 1 in 3 Facebook users are using the platform to find reviews and recommendations. In this post, we are publishing everything you need to know about this new feature, how it will affect your Facebook presence and how to make the most out of it. 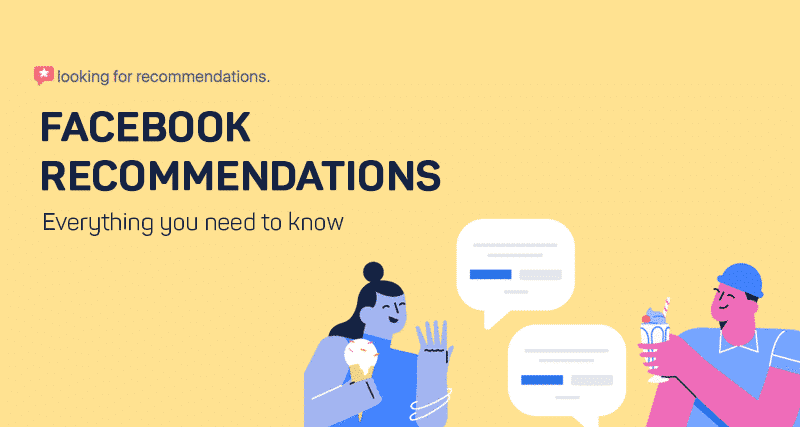 This is why you need to pay attention to these updates and continue reading what is changed and how to make the most out of Facebook Recommendations. 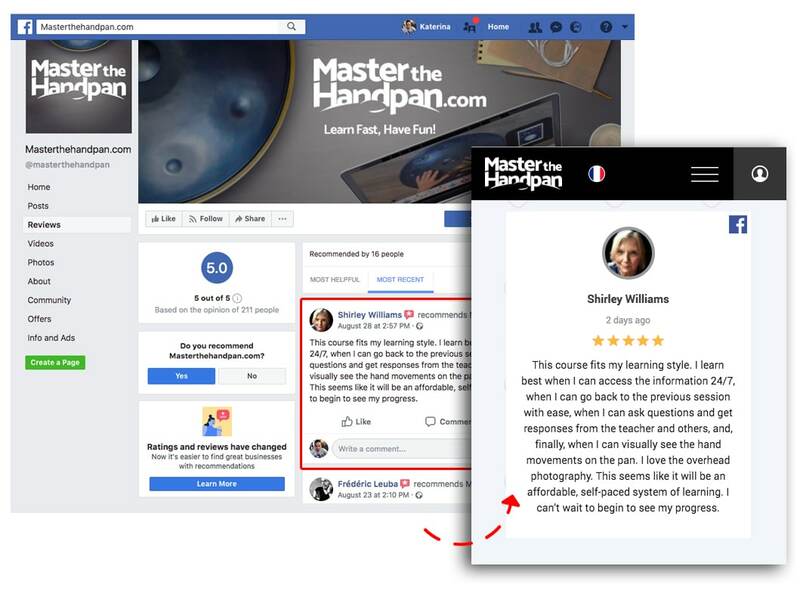 This new feature is already rolled out and businesses will have the chance to see new reviews design on their Facebook Page. The main change of the system is that the Recommendations option is integrated within the reviews and all recommendations that were previously given by customers or other Facebook users will be also listed in this Reviews/Recommendations section. 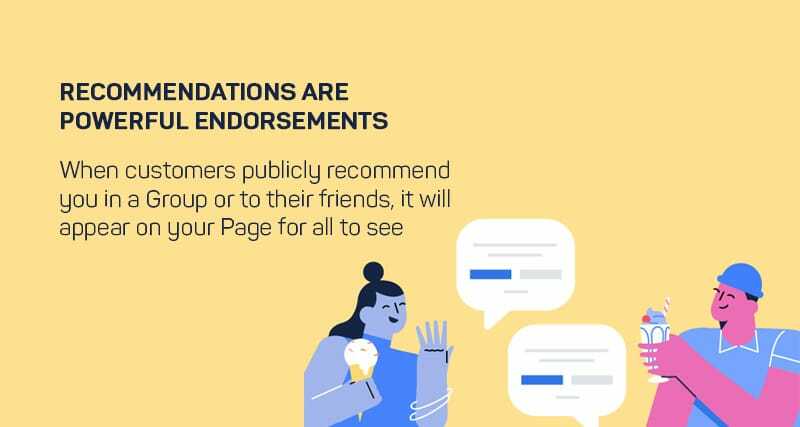 This means that recommendations are not only the opinions given by customers directly on the business’s Facebook page but also when people respond to their friends when they look for a recommendation on Facebook. Note: The old Facebook reviews are safe and sound, and your Facebook Page will continue to display all previous reviews that you’ve generated. Your Facebook Page score will be reflected across Facebook and especially at places where customers make relevant decisions, such as Maps. Recommendations are discoverable across Facebook when people are searching for, or talking about your business. The best thing is that Facebook will show first the recommendations provided by the closest friends which will empower the purchasing decisions and bring greater trust. This option was not previously enabled in the reviews form. Now, if you tag a business in the comments section when a friend asks for a recommendation, you have the options to also post gifs or photos. The cool thing is, that all this post will be displayed in the Recommendations section of the business’s Facebook Page. The best, the mobile form for leaving a recommendation has the option to upload a photo from the phone and publish it together with the text. Note: The character limit for a desktop recommendation is 25 and for mobile is 50. 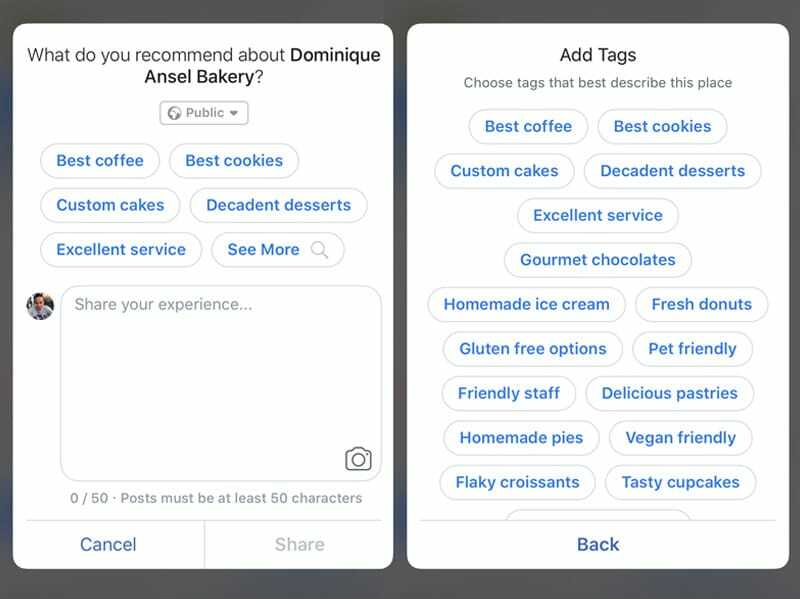 When a customer leaves a recommendation directly on the Facebook page, they will have the option to choose a tag that best describes their recommendation. 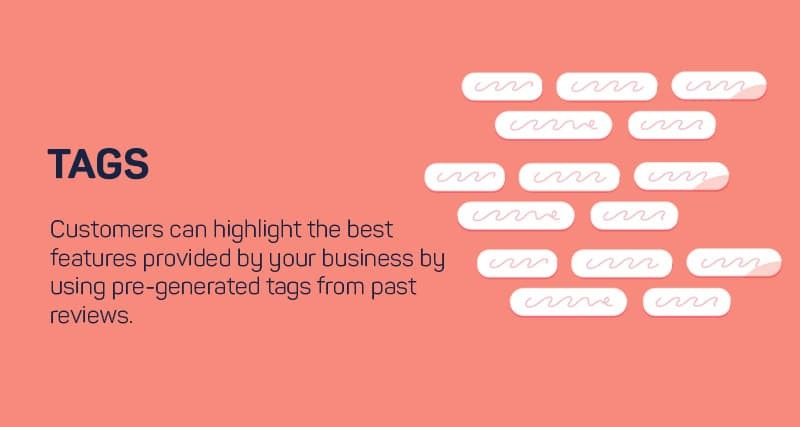 These Facebook’s tags work like hashtags for businesses and the Facebook system generates them based words used in the past reviews. A Page’s rating is based on multiple sources, such as the reviews and Recommendations people share about business Pages on Facebook. If you’ve already activated the Reviews tab than you don’t need to change anything. Please note that the Recommendations is a replacement of the reviews tab and the process to activate it is the same as before. This process is the one that has the biggest change. To recommend a business on Facebook, you will need to open the business’s Facebook Page that you want to recommend. Please note that previously, there was an option to Write a review and select the review score from 1-5. Now you do not actually leave a review for the business but you are recommending it. You have only two recommendation options, to select ‘Yes’ or ‘No’ which means you want to recommend the business or not. Simple as that. Additionally, you can recommend a business by leaving a comment by tagging a business’s Facebook Page when some of your Facebook friends ask for a Recommendation. Similar with the previous option for reporting reviews, now this option is also available and you can report a Recommendation that violates the Facebook’s Community Standards. 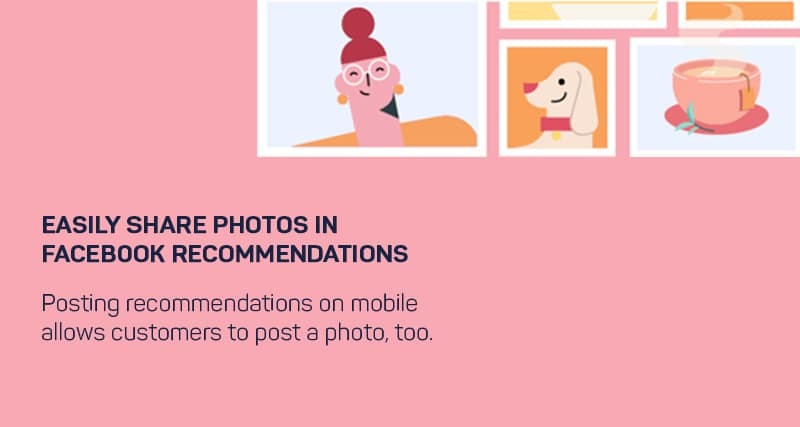 How to embed Facebook recommendations on your website? 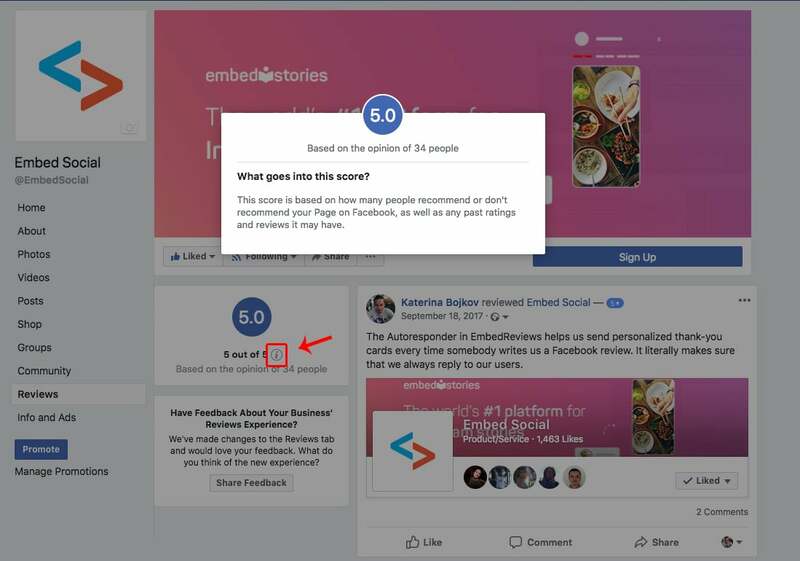 With the evolution of the Facebook reviews system, you can use a platform such as EmbedReviews to help you generate the new recommendations posted on your Facebook Page. The system automatically generates the ‘Yes’ recommendations and also the ‘No’ recommendations, that you can display on your website with a simple embeddable code. 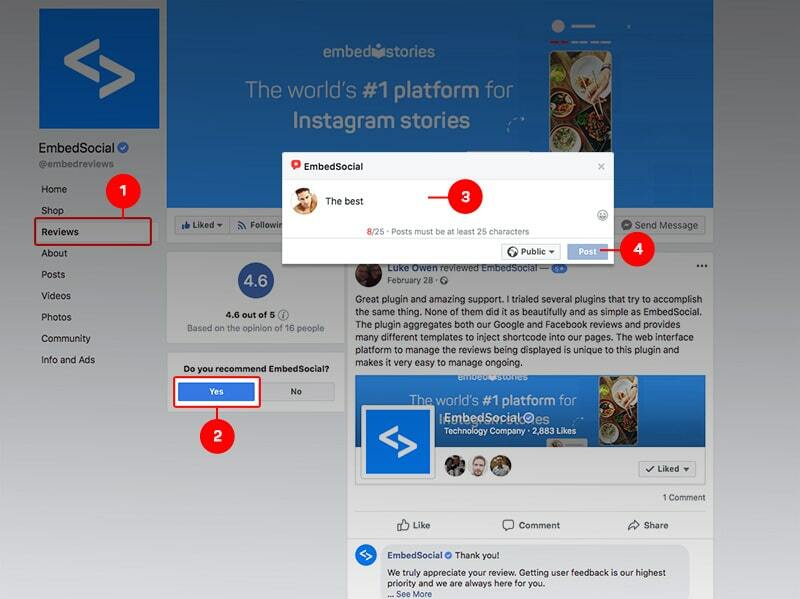 Feel free to try EmbedReviews, and start managing your Facebook Recommendations. I hope this article will help you improve your Facebook presence and if you have any thoughts, feel free to reach out.